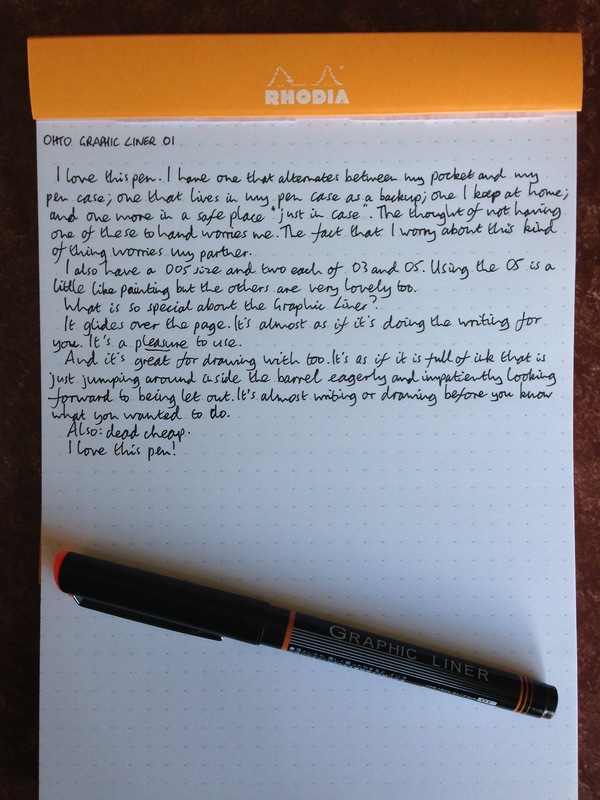 The OHTO Graphic Liner, beloved of pen addicts everywhere and beloved by me. It’s a pen that draws you back. I find excuses to use it. It lives in my pocket.